C.W. Onions has just arrived at his 16th foster home in two years. Despondent, he steals the purse of retired circus performer Sandrine Fuller. Instead of turning him in, Sandrine enlists C.W. in her battle against a corrupt city hall. In the process, Onions learns the importance of having a life-goal, the benefit of books and reading, and most important, how to play the trumpet. 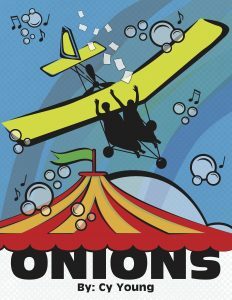 Through a tragic event, Onions triumphs and reaches a height he never dreamed he could reach.